Max-Insight is a suite of tools that is offered by MaxVal for patent professionals. The tools are designed to help with routine tasks that can consume a lot of a patent professional’s time. Have you evaluated the effectiveness of your current IDS process? Take your IDS process to a higher level by knowing where to leverage and how to save time and cost. Answer these 10 simple questions and obtain an instant IDS score along with recommendations for improving your IDS process. Patent attorneys and paralegals handle a sizable list of routine tasks for their clients every day. Some are minor but repetitive; some are complicated as well as time consuming. While it may not be possible to completely automate those complex tasks like drafting claims, prior-art search, proofreading or certain USPTO activities; it is feasible that certain simple tasks like patent term estimation, generating IDS forms or claim charts or even a mere litigation check can be done rapidly and efficiently by leveraging the power of online tools. These tools are the helping hands for Patent attorneys, paralegals and even for individual inventors, not only when they are looking to save time, effort and money, but also when they want to make some informed decisions. PAIR Uploader (Beta) is a desktop application designed to allow users to upload their EFS ready documents in bulk into PAIR. 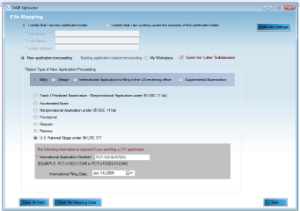 The tool obviates the need to upload documents one by one, thereby simplifying IDS filings. 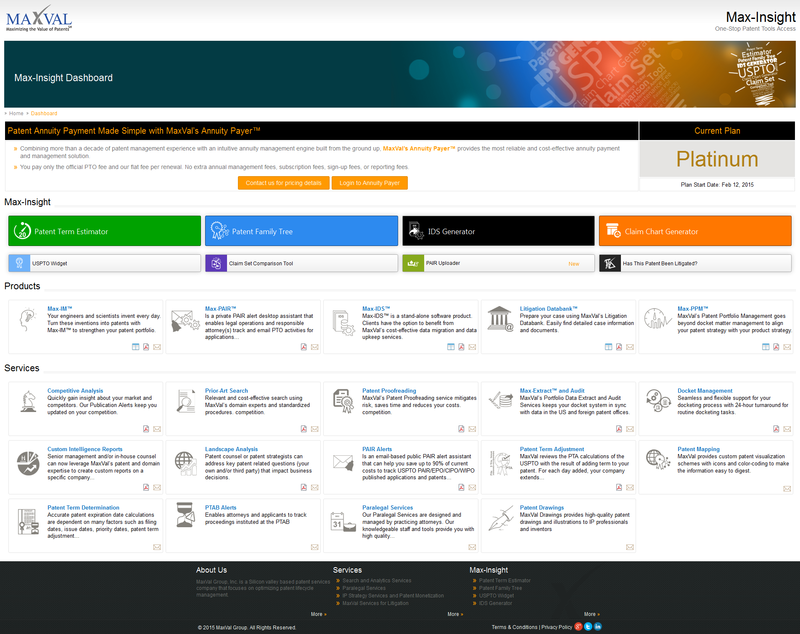 MaxVal introduces Max-Insight’s dashboard, helping users access all its solutions and services from one page. Access brochures for all of MaxVal’s products/services.